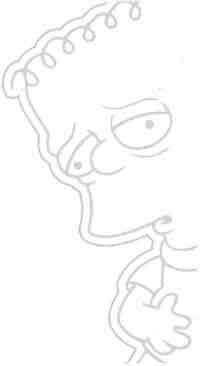 The Simpsons is an American animated sitcom created by Matt Groening for the Fox Broadcasting Company in the late 1980s. 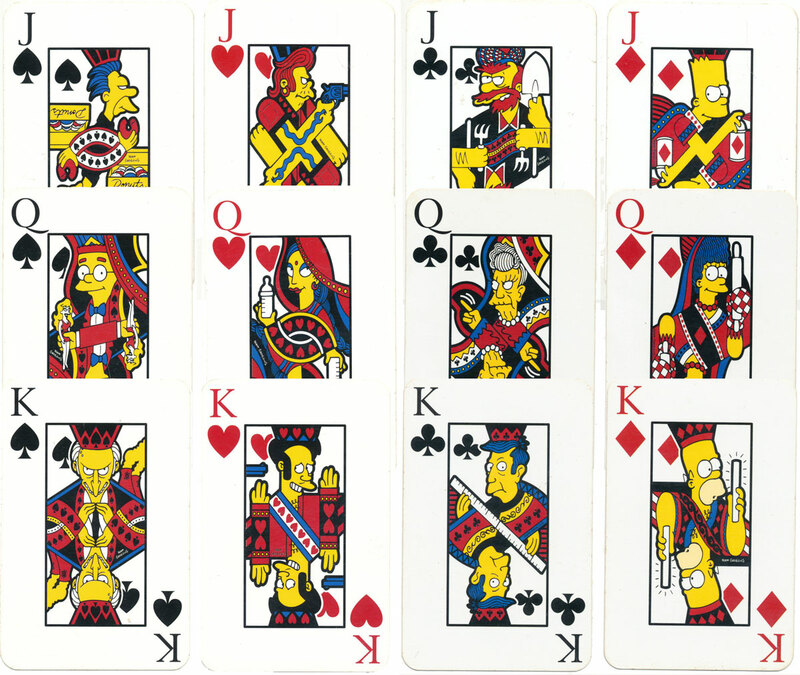 The Simpson family is a satirical portrayal of dysfunctional middle class American lifestyle featuring Homer, Marge, Bart, Lisa and Maggie which has become a huge success on television more → The 12 court cards in these playing cards published by Winning Moves depict characters from the show in double-ended format, whilst the number cards have grey and white outline drawings on each card. Winning moves released a subsequent edition of The Simpsons playing cards, carrying the copyright date 2006, in which the cards are the same except that they have 4 indices (one in each corner). Each suit depicts a particular genre of characters: Spades employees of the nuclear power station; Hearts major supporting adult characters; Clubs characters associated with the school; Diamonds the primary Simpson characters. The number cards also depict supporting characters. 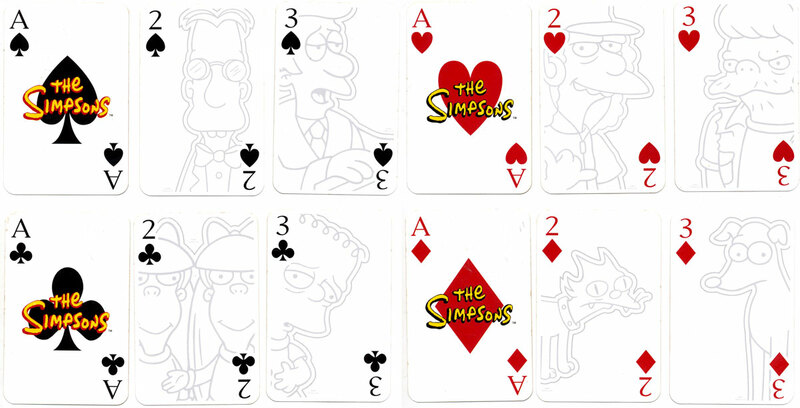 Above: ‘The Simpsons’ playing cards produced by Winning Moves Games, 2003. TM & © 2003 Fox. Images courtesy Matt Probert. Above: ‘The Simpsons’ playing cards by Winning Moves Games, second edition with 4 corner indices, 2006. TM & © 2006 Fox. Images courtesy Matt Probert.